A Non Profit Thrift Store Whose Proceeds Support Alzheimer's Research. With a dedicated staff and lots of help from volunteers, we have over 26,000 square feet of thrift goods, including clothes, ornaments, collectibles, books, furniture, dishes and more. 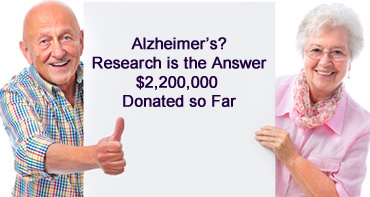 Your purchases and donations help us fund Alzheimer's Research. As a society we all know someone in your family, a friend's family, church family or work family who struggle with this awful disease. There may be as many as 5.3 million people in the United States living with Alzheimer's disease. Please consider a donation. Together our little dime could be the break that helps find a cure.